Even though Dr. James Earl Davis grew up in the rural South, near Huntsville, Alabama, he has always loved cities. Now, Davis — a prolific researcher and teacher — uses urban spaces as a platform for his scholarship at Temple University, where he holds the Bernard C. Watson Endowed Chair in Urban Education and is a professor of higher education and educational leadership. “Always fascinated with ideas,” Davis says, adding that his childhood growing up in the South provided a nurturing environment for him to fall in love with learning. He eventually attended Morehouse College and earned a bachelor’s degree in sociology. While there, Davis found a number of mentors who offered their support and helped to mold his career trajectory. 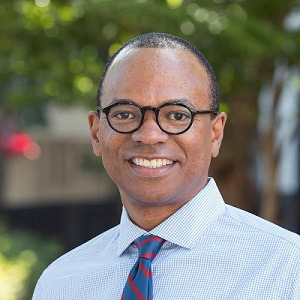 Davis is convinced that his experience at Morehouse “ensconced” his current career pathway as he knew that he wanted to pursue a research agenda. After graduation from Morehouse, he went straight to Cornell University for graduate school, where he situated his studies on social policy and evaluation research. Following a post-doctoral fellowship in educational policy, Davis became an assistant professor of measurements, statistics and evaluation at the University of Delaware where he remained for almost a decade. He later relocated to Temple University where he began an associate professorship. Davis has taken an interdisciplinary approach to his research, covering a variety of topics within higher education, urban education and gender studies. His research on how schools serve as a context for identity development as well as his scholarship focused on access and equity issues within higher education have caught the attention of other scholars. His most notable area of research, however, has focused on how gender and race inform students’ achievement and engagement outcomes. He was among the early group of scholars that researched and wrote about the challenges facing young Black men. Though Davis has long moved hundreds of miles away from his hometown, he says that lessons from his childhood have stayed with him across the years. Now, Davis is mentoring and training the next generation of scholars, working closely with doctoral students and teaching courses in urban education and research methods. “I think my decision about institutional place has been about the ability of the institution to inspire me to do the work and give me opportunity,” says Davis. In 2014, Davis was named the Bernard C. Watson Endowed Chair in Urban Education, which was named in honor of the founder of the urban education program at Temple. Earlier this year, Davis became one of 11 American Educational Research Association (AERA) Fellows. Scholars were nominated by their peers based on their contributions to education research, according to AERA’s press release. Davis considers himself a faculty member at his core and says that he is inspired by the opportunity to work with students.